Also consult your department policies as stated in department course syllabi. 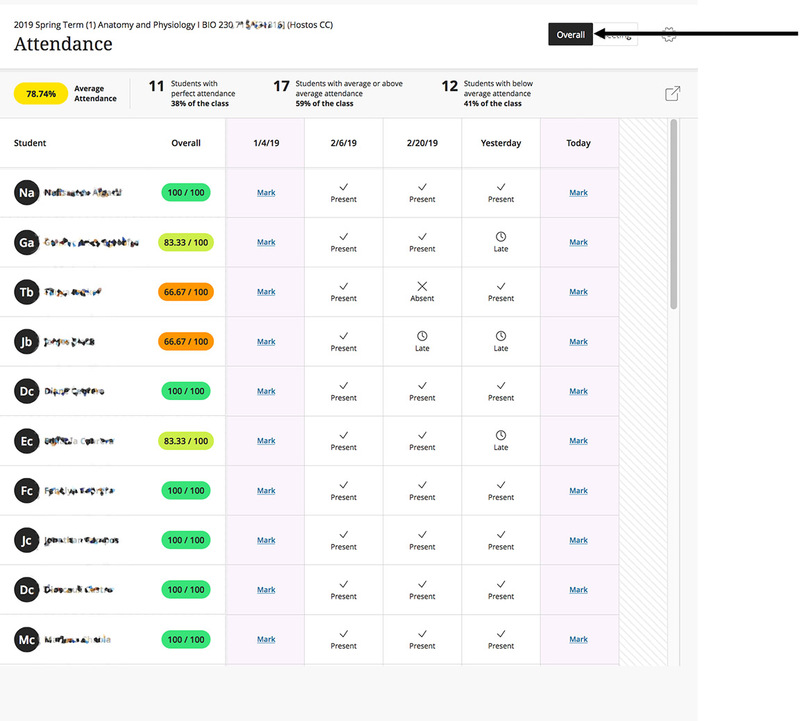 With the Blackboard attendance tool instructors can mark whether a student is present, late, absent, or excused for each class meeting. The attendance records for each student appear in a single column next to other grades. On the Attendance page, profile pictures appear so instructors can easily identify students. Instructors can use attendance as part of calculating grades in the Grade Center. 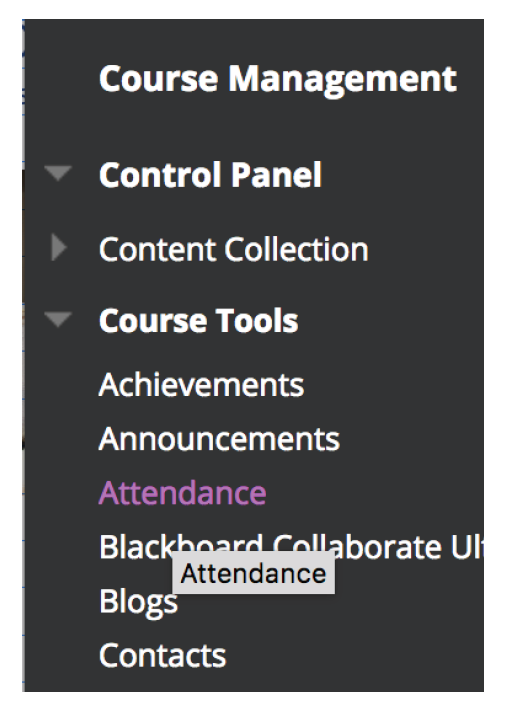 1.In the Control Panel, go to Course Tools > Attendance. 2. 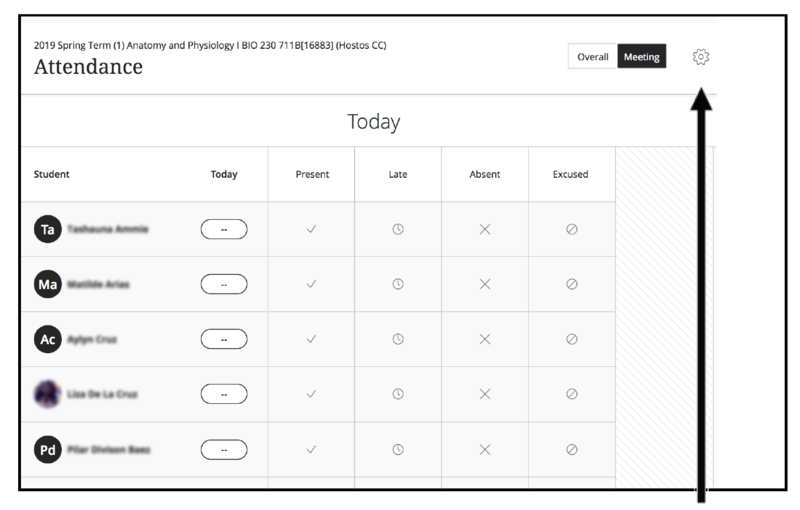 Instructors mark students Present, Late, or Absent by clicking next to the students in the appropriate column. The arrow points to the Settings button. 3. 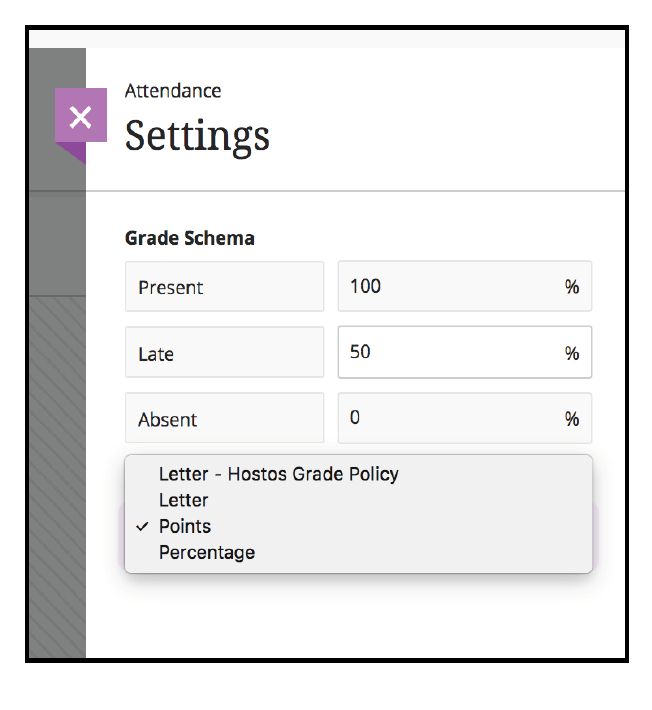 In Settings instructors can determine the grading schema for attendance. 4. By clicking the Overall button in the top right you can view current and previous attendance markings. 5. 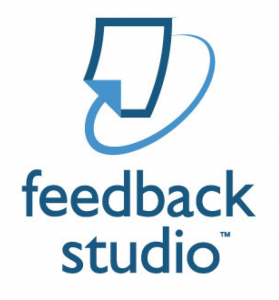 In Overall view you can click on any mark and change it, allowing for corrections and updates. 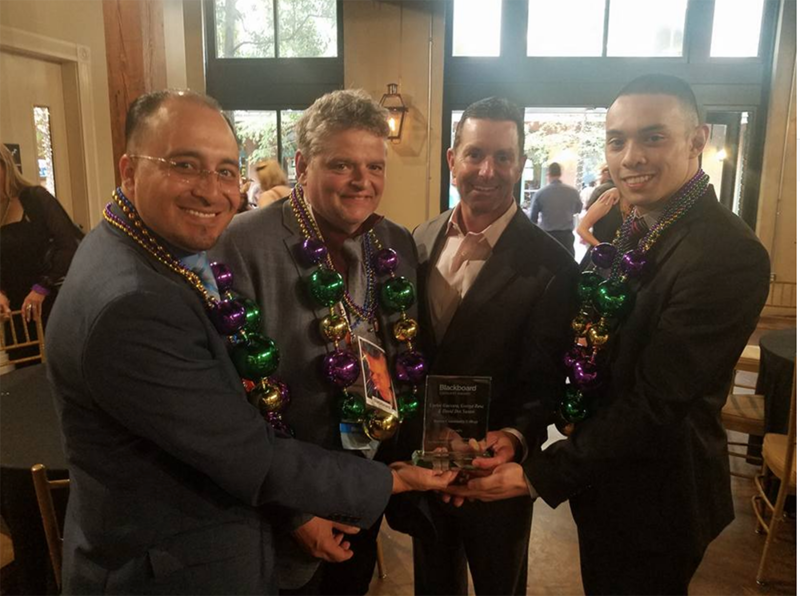 EdTech Accepts Blackboard’s Catalyst Award at the BbWorld Conference, New Orleans, LA.